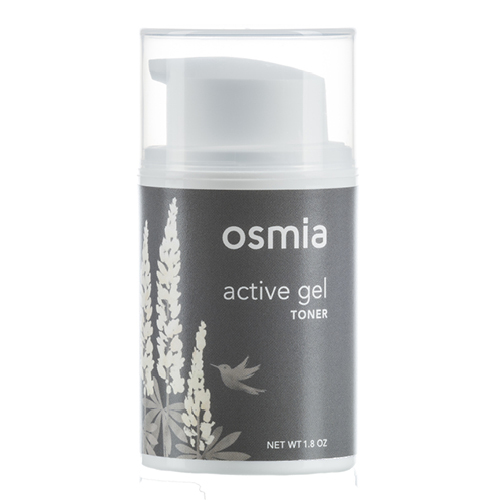 The Active Gel Toner by Osmia makes the perfect middle layer between your cleansing ritual and your favorite serum and/or moisturizer. Infused with ingredients that offer super hydrating qualities, such as white tea, oat ferment and hyaluronic acid, this toner will leave your skin feeling smooth and primed for your moisturizing ritual. It's especially beneficial for those with combination, dry or acne prone skin. Apply 2 pumps to skin after cleansing. Massage gently into skin avoiding eye area. If applying under a moisturizer, allow gel toner to dry completely before applying moisturizer. If applying under an oil serum, apply serum while gel toner is still damp. This is a mysterious and surprising hero; a smooth, lightweight gel that soothes and moisturizes, while also gently refining skin texture and calming breakouts and redness. A couple of years ago I was in Austin and visited W3LL People because I was suffering from a few very atypical deep blemishes - hard water, travel, stress, weird food... who knows the cause? A very sweet employee recommended I try this along with the spot treatment and within a few days of use my spots shrunk to a third of their original size. It was such an incredible relief and I am so grateful for Osmia's soaps, cleansers, spot treatment and this sweet smelling toner/moisturizer/treatment hybrid. Don't expect visible results overnight, but these gentle products work very well over time. If you're oily-skinned like me, or just have trouble with moisturizers that are too heavy or toners that make your skin feel dry, I highly recommend you try this. It works beautifully under makeup as a primer or before facial oil for additional moisture. This is the one you never knew you needed but won't be able to live without.